While the scientists were disappointed that the discovery was not real, the success of the analysis was a compelling demonstration of the collaboration's readiness to detect gravitational waves. And that Nature reports that "only three people would know the truth". LIGO is famous for having papers coauthored by 100s of physicists. This 2015 paper has about 900 authors. That should make them more convincing, as 100s of physics could not all be lying. Usual scientific progress involves an openness to examining the raw data, but somehow they have engineered LIGO from the ground up for clandestine manipulation of the data. But it is shocking that 3 people could have faked this result. 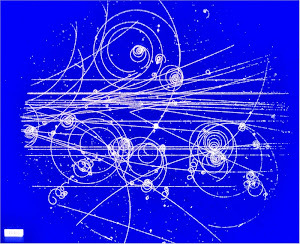 I very much doubt that 3 people could have faked the Higgs boson discovery. Who would set up a system for faking astrophysics with a "data injection"? And who brags about "compelling demonstration of the collaboration's readiness"? They spent a billion dollars on this detector, so obviously they have a readiness and willingness to report that they detected something. When the Pope argued with Galileo over heliocentrism, did either of them use fake data injections? Do the global warming researchers use fake data injections in order to prove their readiness to accept a warming trend? Do the SETI folks broadcast faked space alien messages? The whole process is bizarre and fishy. With the system engineered for fake data injection, there is also the possibility of a mistaken injection, and we may never know whether the data was legitimate or not. Maybe the possibility of LIGO publishing fake data is no more likely than Antonin Scalia being murdered. But I think that possibility should be checked out also. It is the most ideologically convenient death in the history of the court, and there are many suspicious aspects to the story, and Scalia was expected to be the deciding vote in 6 big pending cases that are crucial to the leftist agenda. Really, really insignificant correction: in the physics lingo (which does not necessarily constrain you) gravity waves are waves in some medium due to gravity, whereas what was discovered for the first time this week is gravitational waves. I am not sure about this distinction. The newly discovered gravitational waves are described as "ripples in the fabric of space–time". That sounds like waves in some medium due to gravity. But I guess "medium" means some medium other than space-time. This seems to be an old bugaboo, as some people say that light has no medium, while others say that the medium is the aether, space-time, or the QED vacuum. 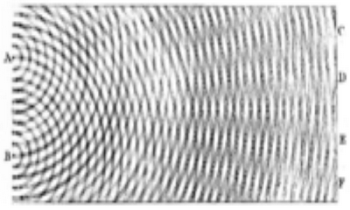 how CAN there be 'ripples' or 'waves' of anything in the fabric of space time? Honestly, the time variable is the part of the geometry that describes the 'curvature', so it can't also be another separate parameter allowing things to move or change, THERE IS NO MOVEMENT in Minkowski space time, never has been. This is why I keep saying space time is not a useful model to describe our universe. "The fake is introduced in a particularly smart way: the injection team is allowed to directly wiggle the mirrors in the detector to imitate the movement caused by a true gravity wave flowing through the detector. Hence, the only way to know if a signal really came from black holes smashing together millions of light years away is to finish an entire scientific study of the event and then ask the injection team to reveal whether the data was faked." So, if there is no independent record of commands issues to the actuators that moved the mirrors the gravity event can faked perfectly. It could be a perfect crime. It would very interesting to see how signals looked in that blind injection tests and how do they compare to the "real" signal that was detected recently. What were the frequencies of oscillation and amplitudes and how long it lasted and what were the delays between different stations? Thanks for the link to https://ligoskeptic.wordpress.com/. It would also be interesting to see how the signals compare to what was predicted for a black hole collision. This will only be solved when Australia builds its own detector, and more signals come in that are independently analyzed. Yes! "It would also be interesting to see how the signals compare to what was predicted for a black hole collision." "In order to be truly scientific from a predictive standpoint, the “predictive” LIGO computer simulation ought to have been performed before the LIGO experimental data was collected and observed. But was it? Are there any LIGO papers or evidence that the computer-generated LIGO plots existed before the observations? We couldn’t find any. If any such papers exist with the plots of the gravitational waves and LIGO signal before September 2015 when the signal was observed, please do share the links and papers!" The movie Capricorn One was about faking a Mars landing because the government overpromised and the lie grew too large. I can't imagine how we can trust any of the data that comes from these big money experiments. When people like Gellman are labeling particles 'penta'quarks, then you have to read the occult messages. I recently analyzed a 1966 Star Trek episode that was released a day before the Apollo 1 fire and that predicted the Apollo 11 launch to the exact day and time. Also, it predicted that the original footage would disappear. The meticulous hints were planted throughout the episode, such as planting clues like a coincidental mention of 15 minutes and 28 seconds. This was the exact time of the Freedom 7 flight. Stupid people doubt it. Look at the meticulous planning that occurred at 9/11. Only an idiot would deny it. They even had Trump set to run 20 years ago on immigration. Mystery Babylon lives! Did you notice that the death of Alan Rickman and David Bowie were both from "cancer" at age 69? Folks, they are playing games with you. Elvis, MLK and JFK were obviously Frazer's Golden Bough. Conspiracy quacks just aren't smart or literate enough to see the obvious. Sorry, I meant Gell-Mann and not Gellman. I should also mention the Lazzarini hoax in mathematics. Even in mathematics people fake data. The LIGO team asked astronomers to scan for more traditional signals, including neutrinos. This shows that LIGO team itself has doubts whether what LIGO detected were gravitational waves (GW) or something else. The fact that Einstein predicted the gravitational lensing which was confirmed through direct astronomical observation does not mean that gravitational waves prediction is also true. General relativity (GR) explains gravity through means outside matter, i.e. a hypothetical distortion of spacetime by matter, which is unique in conceptual physics since all other forces are described as stemming from matter itself. Therefore, there is no wonder that GR fails to explain inertia which is a property of mass. A true gravitational theory should include an explanation of inertia and should be in accord with quantum physics which GR fails to achieve. The LIGO experiment could not detect the gravitational waves as described in GR. However, a form of gravitational lensing could have been detected instead. Massive objects in the universe are huge emitters of neutrinos which can interact with photons, altering their path. Neutrinos emitted by the alleged gravitational event could have interacted with the laser photons of LIGO, changing an interference pattern that generated the already viral chirp. Einstein famously said "God does not play dice". What are the odds for this extragalactic gravitational event to hit Earth and be detected exactly 100 years after his prediction? It's like scoring 6-6 one hundred times in a row.